Boston Health Care for the Homeless Program (BHCHP) partners with NECHV to provide comprehensive medical care for Veterans. Utilizing an integrated model of care, BHCHP staff work in close collaboration to follow Veterans for both episodic and primary care. 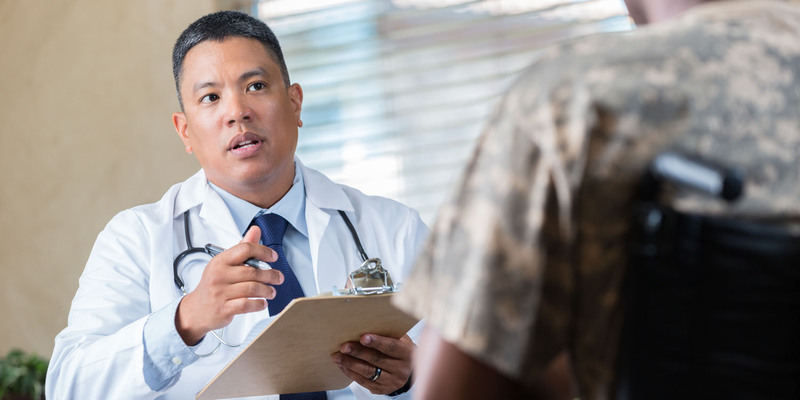 Veterans receive services from providers experienced in trauma informed care and address common health issues that are often difficult to manage without the safety of stable housing such as asthma, diabetes, hypertension and HIV infection. Veterans receive behavioral health, dental and eye care and respite care as needed within BHCHP’s system of care. All Veterans are assisted to apply for MassHealth, the Commonwealth’s Medicaid program. The clinic is open Monday through Friday and sees approximately 4,000 patients annually.